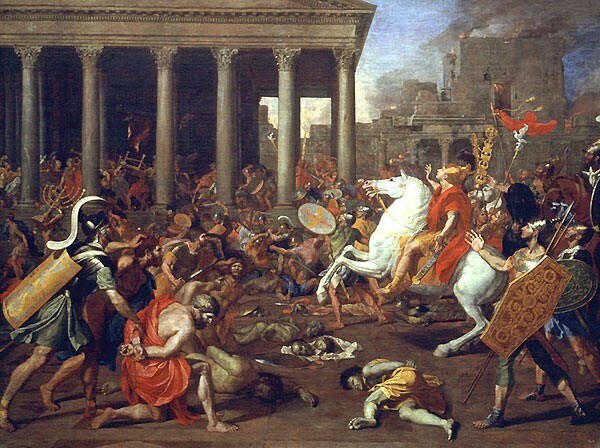 Why did the creation of the state of Isræl lead to war? The origins of the problem go back two millennia when, in 71 AD when most of the Jews were driven out of Palestine- their homeland. Small communities of Jews did remain and over the next centuries small groups returned. Until the end of the 19th century, however, there were never enough Jews to make the Arabs feel threatened and who now considered the area theirs. It was in 1897 that some Jews in Europe created the World Zionist Organisation in Basel, Switzerland. Zionists believed that Jews should have a national homeland of their own- a Jewish state. The chief candidate was Palestine. i) At the time there was terrible pogroms in Russia. They also faced persecution in France and Germany and thus needed a sanctuary or place of refuge. ii) Many believed Palestine was an Holy Land promised to them by God- Genesis xv.18. iii) They also wanted a place to unite all Jews and, hopefully, be protected by a Great Power, whether Turkish (Ottoman) or British. The problem however was that Palestine was occupied by Arabs who were alarmed at the prospect of suddenly losing their land to outsiders. Britain became involved in 1917 when its foreign minister Arthur Balfour announced that Britain supported a Jewish national home in Palestine. He, and other British politicians, were deeply religious and believed in this as part of a divine plan as well as political. The British Government in 1922 said that there was never any intention that Jews should occupy the entire area of Palestine. In fact, they said that there would be no interference with the rights of Palestinian Arabs. The British hoped to persuade Jews and Arabs to live together peacefully in the same state without understanding the deep religious and cultural differences between them. To what extent was the film Exodus (1960) Historically and Politically correct in relation to historical events? Originally a novel written by Leon Uris, Exodus is described as one of the most poignant story on the Jew’s strive for Israel’s independence from the British. The New York Times describes this book as an “international publishing phenomenon”, and the first Israeli Prime minister David Ben Gurion even mentions: “As a literary work, it isn’t mush. But as a piece of Propaganda, it’s the greatest thing ever written about Israel”. The Story was then interpreted as a 3½ hour-long movie, directed by Otto Preminger, in 1960 staring America’s finest actors: Paul Newman playing the role of the Protagonist ‘Ari Ben Canaan’, Eva Marie Saint as ‘Kitty Fremont’ the charming American nurse, and many more. Many viewers argue that the Movie was as epic and fascinating as the novel; others thought it was dull, boring, and uninspiring. Exodus is described as an ‘epic war film’ made by Alpha and Carlyle Productions, produced and directed by Otto Preminger , an Austrian American theatre and film director. The film was based on the 1958 novel Exodus written by Leon Uris, an American novelist, known for his historical fiction. Widely characterized as a ‘Zionist Epic’ the film has been identified by many commentators as having been enormously influential in stimulating Zionism and support for Israel in the United States. 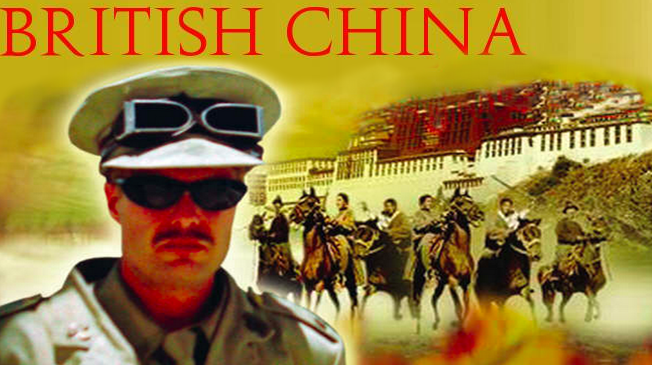 Although the film softened the anti-British and the anti-Arab sentiment of the novel, it remains controversial for its depiction of the Arab-Israeli conflict, and for what some scholars perceive to be its lasting impact on American views of the regional turmoil. Within this film review I will be giving a short summary on Exodus (1960), Referring to three important scenes within the film which were either historically or politically incorrect in relation to historical events, I will be comparing the film exodus to the book written in 1958, I will be stating why the historical mistakes were overlooked due to the heavily enthusiastic publicity in which the film received and finally I will conclude this film review. Exodus is a screen adaptation of the best-selling novel by Leon Uris. It is based on the events that occurred on the ship Exodus in 1947 as well as the events regarding the founding of the State of Israel in 1948. The film is concerned with the emergence of Israel as an independent nation in 1947. Exodus focuses on the efforts of six hundred and eleven Holocaust survivors to defy the blockade of the occupying British Government and sail the Exodus to Palestine. Kitty Fremont is an American volunteer at the Karaolos internment camp in Cyprus, where thousands of Jews are being held by the British, refusing them access to Palestine. The Jews anxiously wait for the day in which they will be liberated. Paul Newman, a leader of the Hagannah and a previous captain in the Jewish Brigade of the British Army, is willing to sacrifice his own life and the lives of the refugees by smuggling Jewish Inmates out of the camp for an illegal voyage to Mandate Palestine. The British finally agree to allow the Exodus to pass through to Palestine safely. Once this victory is assured 30,000 more Jews, previously interned by the British, flee also to the Holy Land. Opposition to the partition of Palestine into Arab and Jewish states starts to become more heated and a Jew named Dov Landau proclaims his desire to join the Irgun, a radical Zionist underground network. Dov successfully bombs the King David Hotel in an act of terrorism, leading to dozens of fatalities. He then turns himself in so that he can use his knowledge of explosives to facilitate the Acre Prison Break. Hundreds of prisoners are able to escape after this plan succeeds. An independent Israel then becomes plain in view, but Arab nationals commanded by Mohammed Amin al-Husayni, the Grand Mufti of Jerusalem, plot to attack the town of Gan Dafna and it’s villagers. An overnight escape is put into place and many are killed, including Karen a young Danish girl, close to both Kitty and Dov as she is murdered by Arab militiamen. At a Jewish burial ceremony for both Karen and Taha, Ari (Paul Newman) swears on their bodies, that someday Jews and Arabs will share the land in peace, in both death and in life. The controversies over political bias, cultural authentic, and historical accuracy that seem to plague every current film on the Middle East attests to the fact that the press, academics, and politicians today would not look kindly on such a type of film like Exodus (1960). And yet when Exodus, a most politically incorrect film was released in 1960, it was treated by the American media with a politeness and fondness. Exodus, running a massive three hours and twenty eight minutes, has all the trappings of a classic epic adventure including romance, idealism and a fight for freedom. However, it’s political overtones are clear. The film allows each party within the conflict to present it’s respective view point. These consist of Ari’s uncle, the leader of the Irgun who explains why violence is necessary in order to force the British to leave Palestine. Ari’s Arab friend strives for coexistence with the Jews, but is ultimately treated as a traitor by the uncompromising Palestinian leadership. And a friendly British general justify’s that the British troops are following orders and wish to leave Palestine as much as everybody wants them to leave. Despite these moments of equity, the film explicitly endorses the Zionist perspective and paints the founding of the Israel in romantic terms. The fact that exodus is able to overtly defend one side of such a controversial piece of history, and get away with it is surprising by today’s politically charged standards. The majority of the political overtones, so jarring to modern sensibilities, were either ignored or overlooked in public responses to Exodus at the time of it’s release. Although a media Frenzy developed around the film before it was released, the press paid more attention to it’s “all-star” cast and exotic filming locations than it’s political subject matter. As the novel Exodus, became a best-seller and the stars of the film were declared, the press began to pay even more attention to the details of the films production, especially because Exodus was filmed in Israel and in Cyprus. The New York times published two articles about the large-scale casting of locals and the use of actual Israeli buildings and landscapes in the filming. Even further “special attention” was paid to the “impressive” logistics of the production, including weaponry and military vehicles and also the camels used in desert scenes. The film went on to win an Oscar for best music and was nominated for best cinematography. Exodus is tremendously entertaining; it has all the grandiose features found in classic, epic Hollywood films. As the glowing review of the novel printed in the Nation pointed out: “[Exodus] contains in its borders and it’s brief modern history every conceivable element of drama-‘conquest of the desert,’ ‘return to the soil,’ ‘ingathering of exiles,’ ‘conflict of cultures,’ ‘the Promise of Fulfillment’ of Biblical prophecy”. Film critic Stanley Kauffmann wrote one of the most flattering reviews in the New Republic and despite being critical of the second half of the movie, which he described as “not often more than superficially exciting”, he described the film as not only an entertaining story, but a “powerful instrument of contemporary truth”. Even somewhat disapproving reviews failed to make the kinds of political criticisms that one would expect. Reviews criticizing the film’s political message only appeared in less mainstream sources. For example, Film Quarterly, a scholarly journal published by the University of California Press, ran a scathing review by Gideon Bachmann, in which he asserted that Exodus is not only a “bad film” but propaganda designed to be “the best promotion Israel ever had”. Several writers inside and outside of the United States were publishing harsh criticisms of Israel at the time, but these criticisms have been deliberately overlooked or dismissed. Many aspects of the film resonate strongly with a uniquely American cultural and political sensibility. For example when Ari asks Kitty, who is skeptical of the Jews’ chances at overcoming the odds and succeeding in establishing a state, “How many men did you have at Concord the day they fired the shot heard around the world?” This reference makes explicit what the audience feels during the course of the film; that the Jews’ struggle is representative of a universal struggle of freedom over tyranny. Exodus also avoids overt ethnocentricity. Exodus is adept at bestriding the line between particularism and universalism: the film’s ideal is a world where every nation is free to realize self-determination, but where pluralism and peaceful cultural exchange- not violent struggles- are normal. Where a Jew, can fight for Israeli independence, whilst similarly falling in love with a christian and sustaining a friendship with an Arab. Also Ari’s character , a Jewish, native born Israeli is portrayed by Paul Newman, a gorgeous, well-built, muscular man in his mid 30’s, with golden brown hair and light blue eyes. The stereotype of Jews however are scrawny, weak and unattractive and is challenged within the Film by Newman's good looks. Exodus also made a large attempt in suppressing what devastating historical events occurred during this time. For example an extract from a report on the village of Deir Yassin by former Haganah officer, Col. Meir Pa’el, written in 1948 states this: “In the exchange that followed four Irgun men were killed and a dozen wounded...by noon the battle was over and the shooting had ceased. 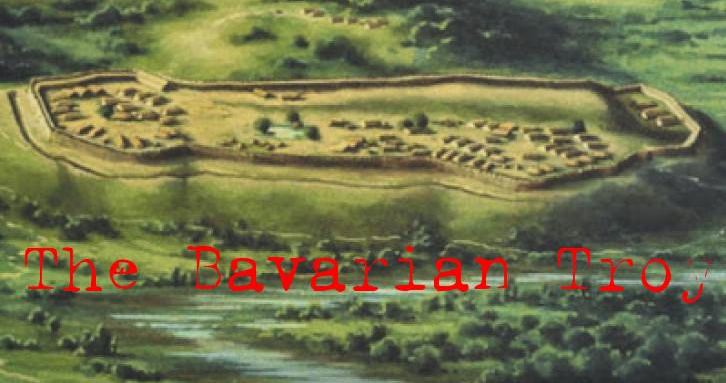 Although there was calm, the village had not yet surrendered. The Irgun and LEHI men came out of hiding and began to “clean” the houses. They shot whoever they saw, women and children included; the commanders did not try to stop the massacre...I pleaded with the commander to order his men to cease fire, but to no avail. In the meantime, 25 Arabs had been loaded onto a truck...and murdered in cold blood...The commanders also declined when asked to take their men and bury the 254 Arab bodies. This unpleasant task was performed by two units brought from Jerusalem.” This extract taken from the report, describes the tragic and bloody massacre in which took place between the Jews terrorist groups and the Arabs. However in the film Exodus, the battles are less bloody and are Pro-Zionist whereas this text causes sympathy for the Arabs rather than the Jews as only four of the Irgun men where killed compared to the 254 Arabs. In general negative characteristics of Jews and “others” have been perpetuated for thousands of years by long-standing religious, political and social stereotypes of them. Though they participated in each city-state’s economic, civic, and social life, Jews were viewed as a separate group based on their cultural and religious differences. In accordance with anti-Semitic stereotypes, many forms of cultural communication including American motion pictures, depicted Jews as foreign outsiders. The makers of Exodus utilized the idea that the Jewish “other” is not as foreign as first assumed and wished for a positive shift in perspectives on the Jews to be attained. The film also repeated biblical references and philosophies. Identification with Judeo-Christian religious traditions would recognize the numerous biblical names and stories referenced within the film, creating a link to past knowledge and recollections. The ancient history of the land of Israel and the Bible Book of Exodus are learned and discussed by christians and Muslims, whose early biblical history is one and the same. This story, of a compassionate God guiding the Israelites from suffering to true freedom in the land of Canaan, parallels the modern account portrayed in the film. Biblical history is also mentioned, illustrating where the Jews first landed in the Jezreel valley 3,200 years earlier. As in the Old Testament, moviegoers learn that Mount Tabor is where Deborah gathered her armies to fight the Canaanites, and how the ruins of Meggiso hold the same stepping stones that Joshua walked on when he conquered it thousands of years earlier. The action that took place in the Middle East, was well documented through newspapers informing the public of the tensions of the 1917 Balfour Declaration and the British White Paper of 1939. Furthermore, news brought the attention to the hundreds of thousands Holocaust survivor refugees. This included distressing misadventure aboard the real Exodus ship in 1947, when thousands of refugees were sent back to former German concentration camps as there was nowhere else for them to go. These dramatic events gained recognition, generated sympathy for the millions lost in the Holocaust, and brought attention to the plight of Jewish survivors and their desperate will for a homeland. Exodus presented a familiar story for many Americans, allowing the storyline to become more deeply engrained in the audience. Within the scene in which the 611 Holocaust survivors are aboard the “Exodus” they start towards Palestine, however General Sutherland, a pro-Jewish General, blocks the ship from leaving the harbor in which Ari threatens to blow the ship up with 200 pounds of dynamite.This part of the film was based on a real ship named “Exodus” that sailed in 1947 from France with over 4500 feeble Holocaust survivors bound for Israel. The plight of the Jews aboard the Exodus ship ended in disaster with the British refusing access to Israel. After being forced to sail back to France, the passengers refused to disembark and declared a hunger strike, however this ended in the British forcefully boarding the ship. A few survivors were killed and others wounded, however the rest were sent back to the camps that were converted into Displaced Persons camps after WWII. The film producers realized that it would lead to extremely bad publicity for the British if it would have been demonstrated within the film that the British did in fact board the Exodus and so within this scene allowed the British to portray sympathetic characters as they stayed away from the ship. Dov within the film describes in the scene in which he is speaking with the leader of the Irgun, some disturbing experiences in which he endured whilst in a concentration camp. 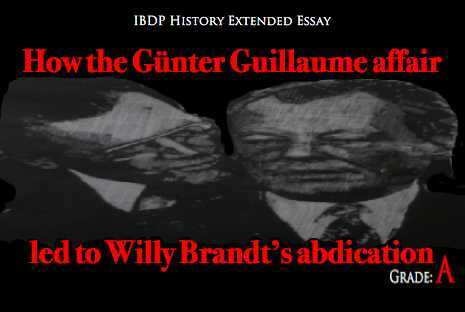 He explains how he took the job of a Sonderkommando in order to survive and that the prisoners arriving at the death camps were forced to strip down naked. He says also that very humble people, including women who covered almost every inch of their body in clothing to ensure modesty, were forced to undress together, in front of strangers and their entire community. To degrade the Jews a little more, their hair was shaved, and at this point, those who were strong enough were sent to shower in order to prepare for their enervating jobs. 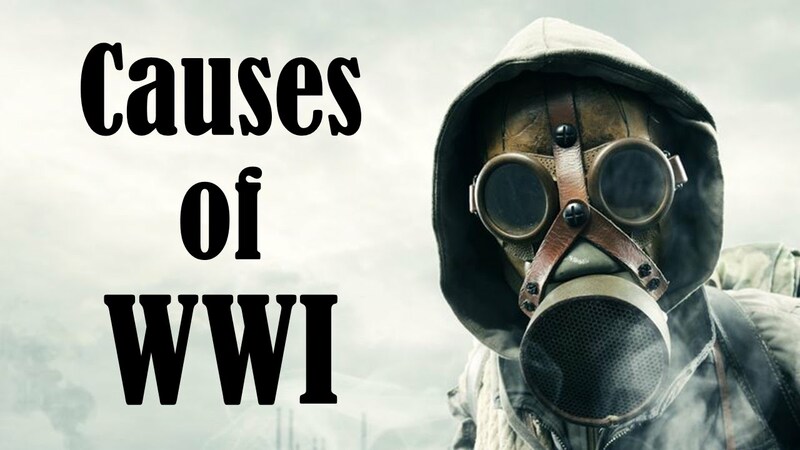 Most, however, were too weak to work due to years of starvation and thus were sent into the gas showers, killing thousands of people. As Dov describes these historically true, horrifying experiences, he trembles with shame and with anguish. However this cannot all be considered historically accurate as Dov also describes three gates in which the prisoners would enter, a gate for the prisoners to work, a gate leading to the gas chambers and finally a gate as quoted by Dov “for the girls... the pretty ones”. Within German Concentration camps however, there was no organization and there were no gates. Jews were briefly inspected and a decision was quickly made in how they should continue after their arrival. Also Dov explains how he chose to be a Sonderkommando in order to survive, however these positions were often inducted upon a prisoner immediately upon arrival with no other choice but death and were not given any advance notice of the tasks in which they had to perform. , also proving that Dov’s chance of being a Sonderkommando survivor with information is very slim. The final scene I wish to show containing historical inaccuracies is the scene in which Karen and Dov are speaking about how the Jews were shunned and forced to wear the Star of David. Also within the book, an underground radio transmission reports that King Christian “himself will wear the first Star of David and he expects that every loyal Dane will do the same.” The myth however has several versions. The most inspiring image has King Christian riding on horseback through the streets of Copenhagen while wearing the yellow star. Danish Jews were never required to wear a yellow armband or a star, and so the Danish king had no reason to wear one either. Bo Lidegaard, editor-in-chief of the Danish newspaper Politiken, says he believes that the story originated in a private conversation between the King and a Danish official in 1942 over what to do if Germany requested that Danish Jews wear the yellow star. Within the film Exodus Karen introduces this story to Dov whilst aboard the boat in order to show him that not all of the Danes or non-Jewish people are bad people and that they do not necessarily follow the Nazi’s and their decisions. Vilhjalmur Orn Vilhjalmsson, an Icelandic historian however states that the story was created by The National America Denmark Association, which was established in order to improve Denmark’s image after the country’s capitulation to Germany and its policy of cooperation with the Nazis. 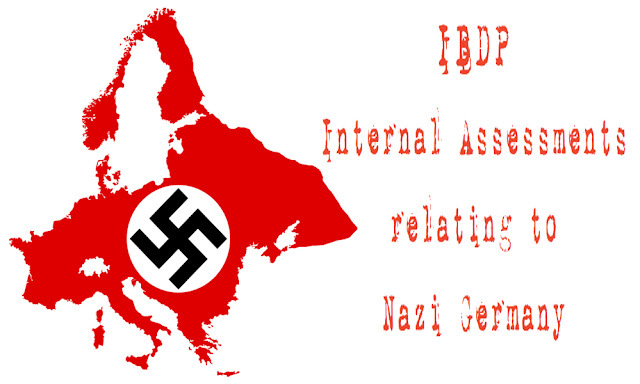 “The story can be seen as a response to the criticism Denmark received in the Allied press between 1940 and 1943,” Vilhjalmsson wrote in “Denmark and the Holocaust”, a book published in 2003 by the Danish Institute for International Studies. King Christian wrongly accused, became a symbol of the lack of Danish resistance to the German invasion. Many previous reviews on the film disregarded significant, influential issues such as Zionism and the need for a Jewish homeland and instead concentration on the lack of historical precision and comprehensiveness and it’s Pro-Jewish stance. They also believed that the film was a misleading, distorted version of the past. 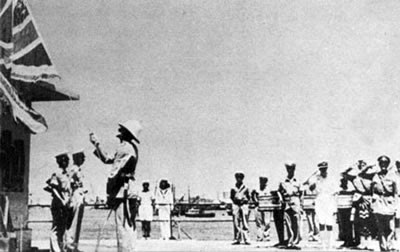 Bachmann was in Palestine in 1947 and witnessed the events surrounding the actual Exodus ship as it attempted to land in the Haifa port. Bachmann did not appreciate the alternate of the refugees being allowed to pass freely into the Holy Land. He also did not approve of the manner in which the traits of certain characters and events were either over or under emphasized to convey a less discomforting image. 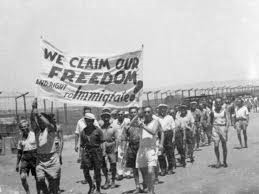 For example, during the British Mandate, a strict limit on Jewish immigration caused great tension between the Jews and the British in Palestine; however, the film was premiered during the Cold War, and Britain was Americas ally. 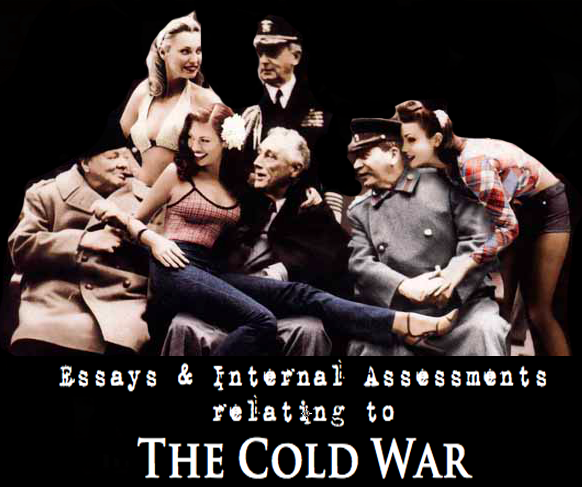 If the history was fully illustrated, Preminger would have portrayed the British actions in a more negative light. The US also needed English support and so, allowing the British to be made look bad in a Hollywood feature film could have had damaging international-relations repercussions, Thus, as Preminger believed there were legitimate reasons as he adjusted his portrayal of history to create a balanced and benevolent representation of all groups and perspectives including the British. Even though, primarily based upon the novel Exodus published in 1958, the film does consist of a variety of differences from the book.
. The entire review is written in his perspective as a first person. He says also that he could identify with the Jews struggling to establish their homeland against tremendous odds. This particular perspective also states that it was indeed a highly influential book, becoming the No.1 best-seller for 19 straight weeks that also became as he describes it, a “mawkish” movie two years later in which was portrayed in a way only, that Americans were able to relate to. “As a literary work, it isn’t much. But as a piece of propaganda, it’s the greatest thing ever written about Israel,” Israel’s first prime minister, David-Ben Guiron expressed. The novel prompted the Jews to oppose the communist regime and to demand the right to immigrate to Israel. It made them proud. Uris takes the readers back through a series of different flashbacks that cover the history of Zionism and the Holocaust. In one particular sentence, Uris describes the Holocaust as “a dance of death with six million dancers!”, a quite unfortunate sentence as he allows the Holocaust to be described as poetic. “There was an aggressiveness and pride about them...and they were always filled with the songs and ideals of the redemption of the homeland...These were the ancient Hebrews! These were the faces of Dan and Reuben and Judah and Ehphraim. These were Samsons and Deborahs and Joabs and Sauls,” Uris breathlessly tells us. “At least they are friendly,” Ari said. “They are Christians.” “They are Christians who need a bath,” Kitty replied. Uris also shamelessly invented events, presented as if they are historical. Given the choice between the facts and the legend, he went for the legend. He did this mainly as the Americans did not know the history of the Middle East and are known to believe anything. Ari Ben Canaan within the film, is portrayed much too neatly in the film by a ‘well-shaved’ Paul Newman with blonde hair and blue eyes. 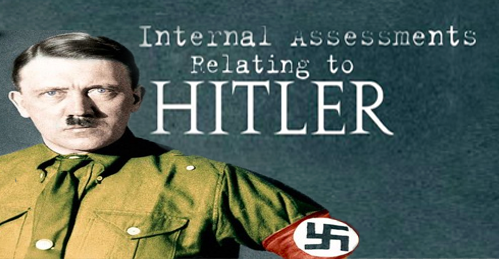 However within the book he is described much differently as a “strapping six-footer with black hair and ice blue eyes”. Both of these characters sound equally attractive however the film portrays Ari as a much more American character. Primarily because of the Americans watching the film who wish to relate to the characters and because the film was produced in Hollywood. This has been seen as slightly racist by the Jews as they believe that the film should have portrayed Ari as how he was portrayed more realistically in the book with dark eyes and a dark skin complexion.They believe also that the romance within both the book and the film was a distraction to the pride and the accomplishments of the Jews. It is believed that Kitty, the American Christian was ‘thrown into’ the book in order to receive higher amounts of American publicity in order to shine a light on the Americans and the British and ignore the violence in which the British too committed against the Jews. It can be concluded that the novel published in 1958 does have historical validity to a certain extent, primarily due to the fact that the author travelled 50,000 miles in order to receive the historical facts and has written not just a novel, but also a piece of history. The film however, was not as prosperous in including historical validity due to the mass of American publicity and the American ‘standards’ in which the film was required to meet. The historical facts and figures within the film are intermittently revealed however the majority of the valid facts are masked by the stunning actors and the remarkable locations in which the the movie was filmed, leading to the audience to be oblivious to the history of the film. The author of the novel Uris also took advantage of the use of myth and fiction such as the Jewish star and is described to have also made myths up himself in which he used. The film followed in these fictional footsteps and so the film Exodus can be concluded as being both historically correct and historically incorrect. 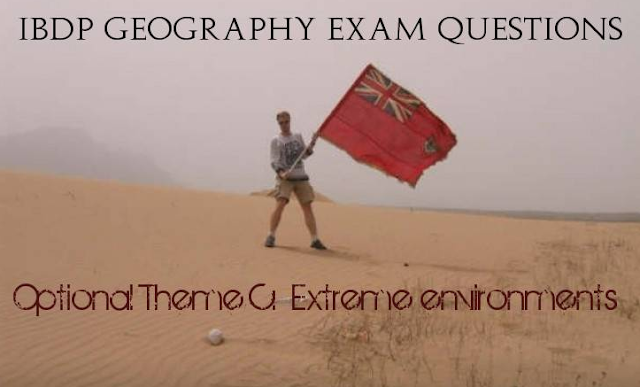 The majority of the most crucial moments however, being portrayed within the scenes incorrectly such as the actual Exodus scene itself consisting of the hunger strike, allows this film to be viewed on as slightly more historically incorrect in many historians perspectives. At the age of 14, as part of an English course that I took, I have been asked to contact American kids, my age, to share and discuss our knowledge of the Jewish Holocaust. It was incredible for me to see, as a Jewish girl, whose own nation’s history and roots were shaped and built largely upon this event in history, the kids’ ‘vast’ knowledge regarding the matter. It struck me how a nation’s history cannot be taught at school, cannot be known. It seemed like the 14-15 years old kids with whom I talked, knew everything about the current Palestine- Israeli plight, however nothing about the two nations ’ histories. It seems that the movie “Exodus” was made exactly for this reason. It is a pro- Jewish propaganda movie, based on the events that happened on the ship Olympia in 1947 and the founding of the state of Israel in 1948, it educates and explains the continued abuse of Jews in the diaspora as well as the struggle of founding of Israel. Although this is an American featured film production, directed by Otto Preminger, it was financed by Jewish and Zionist officials. It has brought a major Zionist and Israeli propaganda throughout the world and in Jewish communities abroad in particular. The film made its debut in Israel on 21/06/1961, one year after it has been officially published. The movie, based on Leon Uris’ highly anti-British novel, “Our Exodus” (1958), was produced in 1960, just 15 years after the end of the holocaust and with that, the end of world war II. It was a time of embarrassment. The Jews were ashamed of the weakness they have shown, as the Germans were ashamed of causing that misery, whilst the rest of the world were ashamed of not stopping this misery; so called holocaust. With this taken into consideration, ‘Exodus’ is aimed to persuade the Americans in favor of the Jews and their continued struggle to the founding of Israel. “An entire generation of American Jews- and Americans generally- were riveted by the 1958 best-selling novel, “Exodus,” and by the blockbuster movie two years later” wrote author Jerome A. Chanes in the New York Jewish Week, in his review of ‘Exodus’." The writer sums the theme of the movie by saying "At bottom, 'Exodus' is about Jewish empowerment in a Jewish world that was yet emerging from the ashes of its destruction in Europe, and in America from high levels of antisemitism and discrimination, just what we needed at the time- the Americanization of Zionism and Israel." The Haaretz, the Israeli Zionist newspaper, argues that Exodus was a book that transformed American Jews as no other work has done, before or since. It sold millions of copies and It was said that it was nearly as common to find a copy of "Exodus" in American-Jewish households as to find the Bible.1 American viewers and readers of ‘Exodus’ found themselves engaging and identifying with such foreign heroism, which can be presented through the main character and hero- Ari Ben Canaan, played by Paul Newman. Ben Canaan is a Palestinian Zionist Jew, who fought for the British during WWII, therefore learned the needed skills and became a Haganah leader. He believes that only a sheer increase in the amount of Jews in Palestine will truly influence the United Nations vote regarding the future of Palestine. Therefore, Ben Canaan fights to ‘release’ as many Jews as possible, from the British occupied Cyprus. He commandeers a ship, called ‘Olympia’ with 600 illegal Jews and Holocaust survivors immigrants headed to Palestine. As the illegal ship is being stopped by the British, the determined immigrants are threatening to blow up their own people who are also on hunger-strike. A horrific scene that touched me as a viewer and a Jew, was the dialogue between Ari, the captain of the ship and two women with new-born babies, where the three are discussing the hunger strike and the kids’ future. The women explain in absolute certainty that they will not send their children back to the detention camps in Cyprus, they will either come to Palestine or die with the rest of the immigrants on the ship. They justify their certainty by relating back to the horror of war. The woman says in bravery “You’re an important man Mr. Ben Canaan, but you know nothing. Look at these kids, they were born behind wires, for the first time they don’t have to look through a fence like animals. They are free now. And no one, no English man, no Haganah will ever lock them up again”. I believe this conveys a very powerful message, through which the Jewish ideology can be taught. The women’s incredible certainty shows how much freedom is appreciated after the horror experiences of the war. Ben Canaan is also convinced by the powerful speech given by the lady and therefore opposed the Haganah orders and did not send the children back to detention camps in Cyprus. After an agreement from the British, the ship manages to get into Palestine, to Haifa port. The happiness is seen clearly through the endless line of Jewish people, approaching towards the ship, awaiting the immigrants. At this point of the movie onwards, we can clearly see the every-day conflict between Arabs and Jews, both fighting for the same goal- having the basic right to exist and create an independent country in Palestine. the idea of Zionism, first founded by Theodor Herzl, Nazism in Europe, the origin of the ghetto system, the pogroms in Russia, the long journey of two brothers from a small Russian town to Palestine by foot, the birth of the kibbutz and the yishuv in Palestine and the continued kibbutzniks' struggle to make the land fertile to plant growth. The movie also captures the dramatic story of the United Nations voting for partition of Palestine to two separate states (1947), in the horrific scene where the leaders of the Jewish Yishuv gather around an old radio which announces quietly the countries' votes. When a final decision has been reached, the Jewish people awaiting for David Ben Gurion to announce the results. When he walks down the balcony and shouts the sentence every Jewish kid knows; "אני גאה להכריז בזאת על הקמת מדינה יהודית בארץ ישראל" ("I am proud to declare of the establishment of a Jewish state in Eretz Israel"). After showing my great grandfather this particular scene of 'Exodus' he was close to tears. He said that the level of accuracy in unbelievable. Under the balcony where the announcement took place ( was later renamed 'the independence street') there were masses of people, waving with the Israeli flags, cheering and singing the "Tikva", the Israeli anthem. All of these elements that my great- grandfather remembers from his childhood were there; the endless cheering, the Israeli flags and the "Tikva". Through the comparison between the movie scenes and the a primary source as well as the picture taken at the night of the announcement, it is understood that the movie was filmed on actual ground where the actual event took place. The scene where the approval of the UN partition plan is announced took place at the same street in Tel Aviv as my great- grandfather has been. This comparison helps American viewers especially, to learn the story told through the movie better, to engage, connect and relate with the storyline and the theme of the struggle of Jews to an establishment of a Jewish homeland in Palestine. It also boosts the historical accuracy of the movie, as it gives a clear idea to the viewers of the places at the time which contributes to the empathy created towards the Jews through the view of the movie. in fact, 'Exodus' was an American ship, bought from WSA Warfield on November 9, 1946, to transport 4,500 Jews from Europe to Palestine. The ship was now headed to the port of Marseille, France to make the necessary preparations. However, as the British pressure on France had rose, the ship needed to head to a different port; Porto Venere, Italy (departs on 23rd April). It stayed there for 7 weeks. Again, the British had pressured the Italians not to allow refueling and departure with immigrants, meaning the ship will have to search for another port. After the French government gives a permit for thousands of Holocaust survivors to enter France, about 4,500 refugees are transferred from camps in Germany & Austria to transition camps near Marseille. This move makes it clear that the ship would carry these refugees, and that the departure country would be France. Accordingly, the Mossad orders the ship to return to France. The ship leaves the port on July 9th and now heading to Port the Sete, France, where 170 trucks of immigrants (around 4,530 immigrants) embarked from the camps to the ships and left quickly, before the British pressure on French government increases. On July 18, 02:00am, only 20 miles west to the Gaza port, the British Navy suddenly opens an attack on the ship in an attempt to intercept her. A bitter fight that lasts about four hours ensues, in which three Jewish people find their death. After 200 immigrants were wounded, the captain gave up, calling to stop the fighting. Now the ship is headed towards Haifa port, under British control. Then, they are sent back to France, where they carry out a one day warning hunger strike on Aug. 18th, and threaten more to come. The British give up and on Aug. 22nd the ship departs towards Hamburg, Germany which is still under British control. In Hamburg they were forced into [more] camps, named Papendorf and Amstau detention camps. Arazi is clearly more 'tzabar' looking than Paul Newman and therefore this choice of actors is odd, in my opinion. The odd choice of actors, may have been related to the 'goal' of this propaganda movie- to create empathy within the American public towards the newly established state of Israel, and by choosing Newman as the main actor, more Americans will appeal to the movie and the goal will be reached. Even though Newman does not represent the typical 'Jew look', his action indeed represents the typical Zionist. The Irgun and the Haganah rarely worked together, in contrast to the combined act of the two towards the end of the movie. The two groups had different agendas, different believes on how the establishment of a Jewish state should be obtained. The Irgun was a terrorist organization and embarked on terrorist attacks against the British as well as Arabs every so often. David Ben Gurion himself stated "the Irgun is our [Jewish nation's] biggest enemy". The Haganah was the largest Jewish organization. It had asked to act first and foremost to strengthen the yishuv community itself, by an increase of immigrants, basing the economy and strengthening of defense against Arab attackers. In contrast to the Haganah, the Irgun believed in fighting without compromises against the enemies of the Jewish settlement, the British and the Arabs, meaning, it is not enough to protect the settlements, but they should also launch an attack against the Arabs and the British. In fact, In 1944, the Irgun began to make military operations against British and Arab targets; Government Bureau, the police, immigration offices of the Mandate authorities, government income taxes office, radio station Mandatory Ramallah etc. In July 1946 Irgun members blew Irgun the King David Hotel in Jerusalem, in which were located the headquarters of the British army and the civilian government center of the British Mandate. Afterwards, the Haganah acted in collaboration with the British against the Irgun. Many members of the Irgun were kidnapped by members of the Haganah and imprisoned in hidden places, while others were turned over to the British. "How pathetic the dirty little children were beside the robust youngsters of Gan Dafna. How pathetic their lives seemed in contrast to the spirit of the youth Aliya village. "- this quote clearly shows the distinguish made between the Arabs and the Jews. The Jews seem to have a cheerful, joyful spirit, as the Arabs seem helpless, zero sense of enjoyment etc. "Nazareth stank. The streets were littered with dung and blind beggars... fifty children were underfoot. Flies were everywhere"- this shows how 'dirty' the Arabs are in the movie, as well as the book. There is only one Arab who is presented in a positive light all throughout the movie; the neighbor village chief and Ari's closest childhood friend, Taha, Kammal son's. Taha seems to be the only 'good' Arab in the story, and therefore is to be killed for supporting the Jews. To conclude, I believe that the movie 'Exodus' is not a reliable historical source, as the distinguishes highly overcome the amount of similarities in real event and the movie. Therefore, it is understood that Uris has 'invented' certain things and edited other in order to make his dramatic story appeal to readers and viewers. The movie would not be helpful, therefore, for studying and understanding the roots of the Israeli- Palestinian conflict, as it simply does not show both sides of the coin. However, it will be extremely helpful for understanding the pure bravery, passion and motivation the entire Jew nation felt towards Israel and the background behind it. 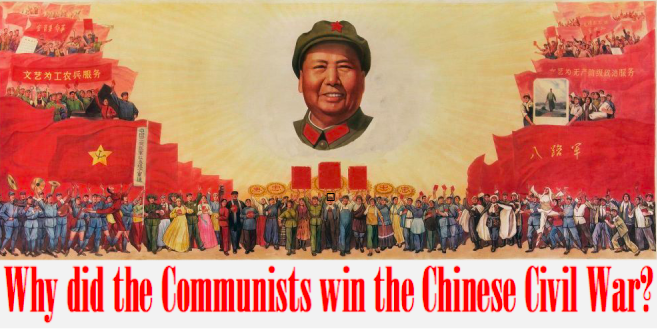 It is also a great piece of propaganda. It conveys the theme of the Jewish struggle clearly, 'forgetting' about the other side of the conflict- the Arabs. Arthur Stevens, an English footballer who fought for Britain during WWII summarizes that issue by saying; "Uris' novel solidified America's impressions of Israelis as heroes, of Arabs as villains; it did more to popularize Israel with the American public than any other single presentation through the media". "Exodus Movie Poster #4 - Internet Movie Poster Awards Gallery." Exodus Movie Poster #4 - Internet Movie Poster Awards Gallery. N.p., n.d. Web. 14 Apr. 2014. "Exodus (1960)." Wikepedia. N.p., n.d. Web. 14 Apr. 2014. "Otto Preminger." Wikipedia. Wikimedia Foundation, 14 Apr. 2014. Web. 14 Apr. 2014. "Leon Uris." Wikipedia. Wikimedia Foundation, 14 Apr. 2014. Web. 14 Apr. 2014. Said, Edward. Propaganda and War. "Exodus (1960)Synopsis." Fandango. N.p., n.d. Web. 14 Apr. 2014. "POLITICS, CINEMA, AND THE MIDDLE EAST: RECONSIDERING EXODUS." New Society. N.p., n.d. Web. 15 Apr. 2014. Thompson, Howard. “Preminger Tells of ‘Exodus’ Plans.” New York Times Dec. 9, 1959: 58. Hift, Fred. “Guiding a Film ‘Exodus.’” New York Times Apr. 17, 1960: X5. Crowther, Bosley. “Film Cameras Over the Holy Land.” New York Times May 15, 1960: X1. “A People’s Return to the Promised Land.” Photographs by Gjon Mili. Life Dec. 12, 1960: 70-76. Crowther, Bosley. “Screen: A long ‘Exodus.’” Review of Exodus, dir. Otto Preminger. New York Times Dec. 16, 1960: 44. “The Best Pictures of 1960.” Time Jan. 2, 1961. Scheuer, Philip K. “‘Exodus’ the Record of a New Genesis.” Review of Exodus, dir. Otto Preminger. Los Angeles Times Dec. 11, 1960: B3. Kauffmann, Stanley. “Double Feature,” Review of Exodus, dir. Otto Preminger. New Republic Dec. 19, 1960: 21-22. Bachmann, Gideon. “Exodus.” Review of Exodus, dir. Otto Preminger. Film Quarterly 14.3 (Spring, 1961): 56-59. Wakfield, Dan. “Israel’s Need for Fiction.” Review of Exodus, by Leon Uris and The Anglo-Saxons, by Lester Gorn. Nation Apr. 11, 1959: 318-319. Said, Edward. “Propaganda and War.” Al-Ahram Weekly Online 549 (Aug. 30-Sept. 5, 2001). Exodus (1960): A Movie with a Message. N.p. : n.p., n.d. "Sonderkommando." Wikipedia. Wikimedia Foundation, 15 Apr. 2014. Web. 15 Apr. 2014. Dr. Miklos Nyiszli (1993). Auschwitz: A Doctor's Eyewitness Account. Arcade Publishing. "King Christian and the Yellow Star – Forward Thinking." Forward Thinking. N.p., n.d. Web. 15 Apr. 2014. "Review of Exodus Novel." Rev. of Online. n.d.: n. pag. Print. One of the movie’s greatest qualities, that has brought special attention from the press, is that ‘Exodus’ was filmed in both Cyprus and Israel, and not in Hollywood with all special effects and few decorations. The New York Times published two articles about the large-scale casting of locals and use of actual Israeli buildings and landscapes in the filming. “Special attention was paid to the impressive logistics of the production, including the large collection of weaponry and military vehicles gathered for the sets, and of course, the twenty camels used in desert scenes.” Comments Jacob. M Victor, from Harvard University. For further proof, The New York Times itself even mentions: “Furthermore, Mr. Preminger has captured within the scope of his color cameras a continuously varied and vivid panorama of Cyprus and Palestine. He shot his picture in those places most of it in the present Israel.” These landscapes, along with real artifacts, have made the movie almost as realistic as the book, and it is all thanks to Otto Preminger. Another Fantastic aspect of Exodus is that the actors show an excellent understanding of the characters placing themselves in the flesh of the heroic protagonists. The filmmakers do manage to come out strongly, even brilliantly, in certain powerful scenes. The character of Dov Landau, a Polish terrorist, played by Sal Mineo, is absolutely overwhelming in a scene where he dedicates himself as a member of the Irgun, the Jewish extremists' underground. And the character of Akiva Ben Canaan, the Irgun leader, who is performed by David Opatoshu in a moving and unforgettable way, is also fine in this scene and others, a flaming symbol of devotion to a cause. Ralph Richardson and Peter Lawford are incisive as British military types; Jill Haworth is fresh and deeply poignant as a brave 15-year-old refugee; Lee J. Cobb is impressive (particularly in one scene with Mr. Opatoshu) as a Jewish conservative, and Felix Aylmer, Michael Wager, Martin Miller and the late Gregory Ratoff are amusing and strong as other Jews. Despite all the remarks, many other viewers thought that the movie was unimpressive, lacked many important details, and in conclusion Exodus is definitely not a masterpiece. For example, a crucial detail that the movie hasn’t shown at all is the Story of Dov Landau suffering in the Warsaw ghetto, and his terrifying experience at the concentration camps in World War II. Dov, the victim of Auschwitz, does explain in the movie how he escaped the ghetto, and all the terrible sights he’s witnessed at the camp such as: the certain “three gates” that the Jews were assigned to after their examination, the gas chambers, burning the bodies in the ovens, and sadly how he was used as a woman. However, Exodus should have added scenes about Dov’s whole story at Warsaw, fighting against the Nazis, and how he struggled at Auschwitz. Furthermore, many other important parts of Jewish history from Uris’ novel aren’t included. For example: Otto Preminger has completely ignored the story of two Jewish Brothers fleeing the U.S.S.R, escaping the horrifying persecutions under communist regime, and marching to their holy promised land, Palestine, by foot. “Ironically, with all this running time (3½ hours), the best, the most inspirational parts of the book did not make it to the film. Among them are historical events dealing with the origins of ghetto system, pogroms in Russia, the long and fascinating journey of two brothers from a small Russian town to Palestine by foot, the ideas of Theodor Herzl, the birth of kibbutzes in Palestine, and enormous labor of kibbutznicks to make the land fertile, to grow plants and trees where the desert, rocks, and swamps had been, as well as the tragedy of European Holocaust and dramatic story of United Nations voting for partition of Palestine in 1947”- comments Galina in the “Exodus – 1960” page of IMDb. As a result, Exodus should have included all the magnificent historical events related to the poignant Jewish history of the 1940s. To make things better, the movie should have also been divided up in episodes showing each character’s own story instead of jamming only a few details of what should be fascinating Jewish history all in 3 hours. In conclusion, Exodus has many qualities. The most important one: being filmed on location, in modern Israel and Cyprus, making the movie look completely realistic. 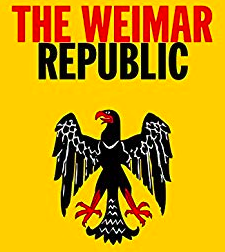 However, viewers comment the movie was ridiculously long, and that it didn’t include some of the most crucial Jewish historical events from the novel, making the movie completely dull and uninspiring compared to Leon Uris’ Book. Nonetheless, the movie was still rewarded. The movie had one Oscar for the best soundtrack music composed by Ernest Gold, and Sal Mineo playing as Dov Landau, the young Warsaw Ghetto and Auschwitz survivor, was nominated for the Best Supporting Actor. "Exodus Reviews and Ratings - IMDb." IMDb. IMDb.com, n.d. Web. 08 May 2014.
Review Titles: “Exodus, the movie and the book”, “The fighting heart of Israel. "Exodus Part 10." YouTube. YouTube, 29 Jan. 2011. Web. 08 May 2014. "Exodus Part 9." YouTube. YouTube, 29 Jan. 2011. Web. 08 May 2014. Victor, Jacob M. "POLITICS, CINEMA, AND THE MIDDLE EAST: RECONSIDERING EXODUS." New Society. N.p., n.d. Web. 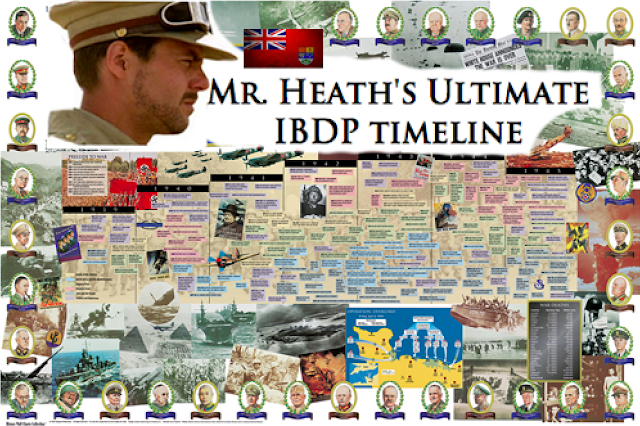 08 May 2014.
 http://www.goodreads.com/book/show/42697.Exodus  Mr. David Heath – History teacher. Hift, Fred. “Guiding a Film ‘Exodus.’” New York Times Apr. 17, 1960: X5. 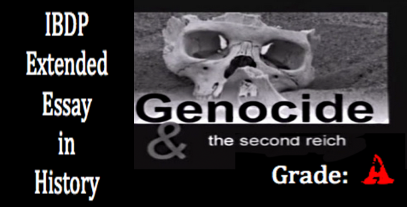 I am a third generation to the holocaust and my home land is Israel, but was it always? Is the land truly and justly the land of Jews and what was the role of the British in this conflict? My grandfather and his parents were forced the to go to Cyprus after the horrors of the Holocaust, by the British. In Cyprus, they lived unpleasantly in tents and eager to get to the "Fatherland" and to finally have a home. This is the very ship in which my grandfather sailed to Palestine in 1948 after the Israeli state was declared. This ship brought my family to our Fatherland in Palestine. However the land was not always a home for the Jews and therefore we shall look at the history of Palestine and the role of the British in this conflict. The Jews and the Arabs have had differing claims to Palestine over the course of history. as defined in Numbers 34 Nevim Ktuvim, Parashat "לך לך לארצך"
ZIONISM was the movement of reestablishing a Jewish National Home/state in Palestine. • Jews, all over the world, belong to the same nation and have the same identity. • The condition of the Jews living in the diaspora is not realistic and dangerous. Herzl himself stated that Jews are not safe, "Even in the most civilized countries ssh as France, Jews are persecuted." 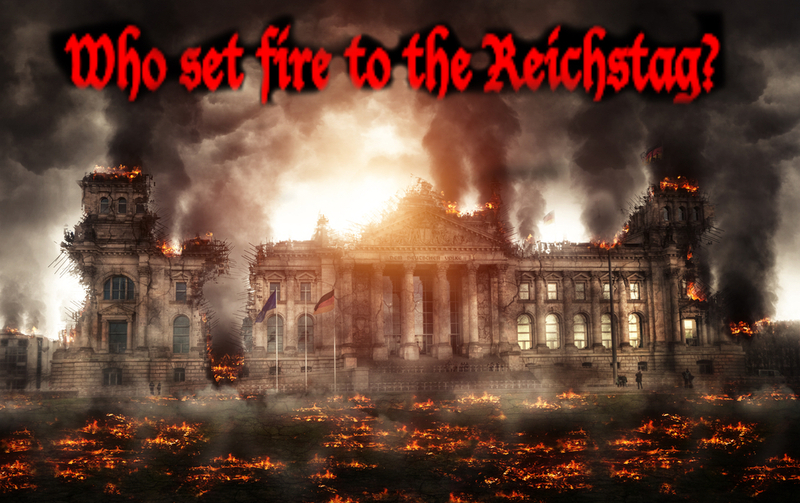 • Only a territorial solution will solve the Jewish plight. The Arabs had numerous arguments for national and political rights in Palestine after the first world war. Firstly the Arabs lived in Palestine for around 1400 years during the time when the Jews lived in Europe. (17) Some argue that this is just as much the home of the Arabs as the Jews', (18) however this is not the most common approach as it was not stated in the Quran that the land shall be Arab. Another claim to Palestine would be the Hussein McMahon correspondence discussed further under British Promises. During the First World War the British made numerous contradicting promises to the French, Jews and Arabs. In consideration of their different intentions and the contrasting interpretations by historians, we realize that without doubt, the British play a major role in the creation in the Arab Israeli conflict through the Hussein McMahon correspondence, Sykes picot agreement and Balfour declaration. The huge territory from Sinai to Turkey being discussed, was mostly land that Arabs considered to be historically their territory, was where they wished to develop their own state. Moreover, this territory was sacred for Arabs and, what is more, this territory was the subject to the historical confrontation between the East and the West. (27) The Arabs wanted to revolt against the Turkish rule and this opportunity, where they would receive military and financial support from Britain. The political aspirations of the Arabs were similar to those of Hussein, who telegrammed Enver Pasha, Minister of Defense in Istanbul outlining his price to support Istanbul in the war. Among others, he demanded decentralized rule for Syria and Iraq, not separation. Therefore, when the correspondence with McMahon suggested progress to achieve their aspirations they revolted against the Ottomans. Husain, who claimed to represent all Arabs, effectively sought independence for the entirety of the Arabic-speaking lands to the east of Egypt. “The two districts of Mersina and Alexandretta and portions of Syria lying to the west of the districts of Damascus, Homs, Hama and Aleppo cannot be said to be purely Arab, and should be excluded from the limits demanded. 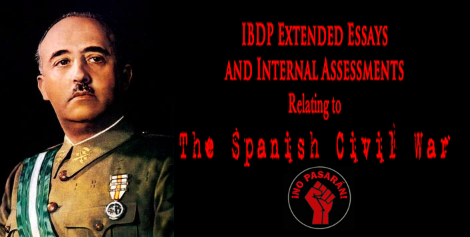 With the above modification, and without prejudice of our existing treaties with Arab chiefs, we accept those limits. “As for those regions lying within those frontiers wherein Great Britain is free to act without detriment to the interest of her ally, France, I am empowered in the name of the Government of Great Britain to give the following assurances and make the following reply to your letter. Much of the Syrian coast and much of modern-day Lebanon was allocated to France and Britain took direct control over central and southern Mesopotamia. palestine would have an international administration, as other Christian Powers such as Russia had an interest in this region. The remaining territory, a vast region including modern-day Syria, Northern Iraq, and Jordan would be governed by local Arab chiefs under French supervision in the north and British guidance in the south. On the map: Blue is French Rule, A is French sphere of influence (possible French rule), Red is British Rule, B is British sphere of influence (possible British Rule), Yellow is international territory. In European countries most saw the Jews as threats due to their success in economical areas, their influence in politics, the fact that they are different and that the Torah claims that they are the chosen group by god. 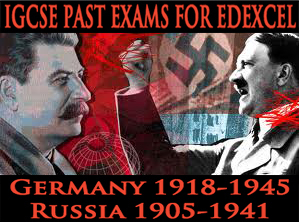 (41) The Germans under Hitler's Nazi regime wanted to eliminate their political and economical power. However, the British chose to make use of the Jews and especially the Rothschild family.The British also saw the Jews as powerful figures in the government of the North America, therefore seeking their help in the war they thought that by helping the Jews they might get help from the British, argues Robert Chazan, Professor of Hebrew and Judaic Studies. 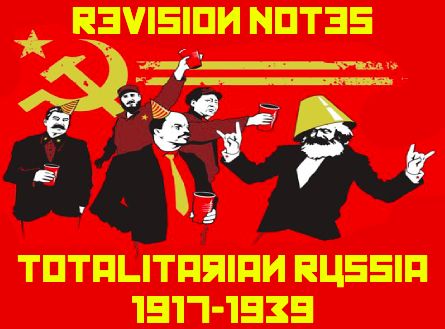 (40) Some historians such as Harry Defries, would argue that the British wanted the Russians to stay in the war and therefore thought that as the new Bolshevik leader, Trotsky, is Jewish, he will be more keen on staying in the war as the declaration was signed. (42) However, this idea is limited as it does not consider what historians such as Kenneth B. Moss do, that this letter was signed by Lord Balfour on the 2nd of November and 4 days later was, on November 6th was the Russian revolution, so the British government couldn't have been certain that this would aid in the keeping Russian in the war. In the year 1919, following the end of the First World War, the treaty of Versailles determined that Britain and France will be given mandates in the middle east. These mandates were an order or command from the League of Nations giving Britain and France control of Arabs lands previously ruled by the Ottoman Empire, which they had to prepare Arabs lands for eventual self governing and until the Arabs were not reliant. France was granted mandates over Syria and Lebanon. Britain was given mandates over Palestine, TransJordan and Iraq. The Arabs were of course unhappy with the agreement as it contradicted to their previously made promise of the independent Arabia. They fought against the Ottomans and truly trusted the British when they promised them independence, therefore were just fully disappointed when they were not allowed the land. In 1917, British troops entered Jerusalem, the capital of Palestine, driving out the Turks, thus allowing them the circumstances to fulfill their promises. The video bellow shows General Allenby walking into the holy land Jerusalem by foot. How did British policy towards Jews and Arabs change over time? (1) "CYPRUS DETENTION CAMPS." Yad Vashem. Shoah Resource Center, The International School for Holocaust Studies, n.d. Web. . (2) "Aliyah Bet  Photograph." United States Holocaust Memorial Museum. United States Holocaust Memorial Council, n.d. Web. 16 Feb. 2014. . (3) Goldman, Danny, and Michael J. K, Walsh. 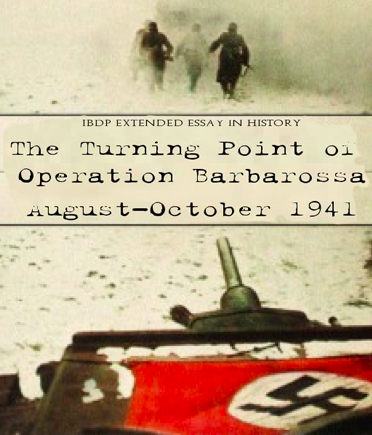 "Stranded in Boğaz, Cyprus: The Affair of the Pan Ships, January 1948." Eastern Mediterranean University. 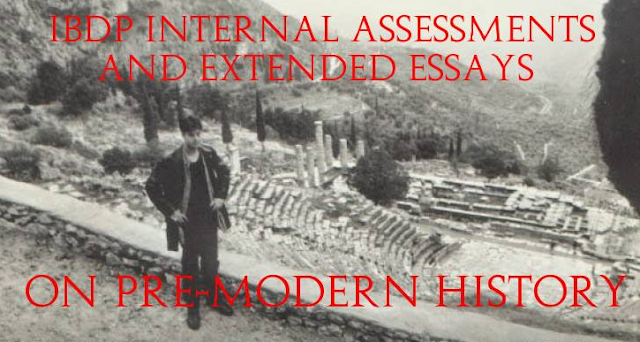 Journal of Cyprus Studies 15 (2009), n.d. Web. . (4) "Imperial History of the Middle East." Imperial History of the Middle East. N.p., n.d. Web. 16 Feb. 2014. . (5) "Visual Timeline of the Roman-Jewish War ARTchive @ PreteristArchive.com, The Internet's Only Balanced Look at Preterist Eschatology and Preterism." Visual Timeline of the Roman-Jewish War ARTchive @ PreteristArchive.com, The Internet's Only Balanced Look at Preterist Eschatology and Preterism. N.p., n.d. Web. 16 Feb. 2014. . (6) Nicolas Poussin. Conquest of Jerusalem by Emperor Titus. 1594-1665. Les Andelys, near Paris. (7) "Pre-State Israel:Jewish Claim To The Land Of Israel." Jewish Claim To The Land Of Israel. N.p., n.d. Web. 14 Feb. 2014. . (8) (9) (10) "New Historians." Wikipedia. Wikimedia Foundation, 15 Feb. 2014. Web. 16 Feb. 2014. . (11) Karsh, Efraim. Fabricating Israeli History: The "new Historians" London: Frank Cass, 2000. Print. (12) James, Gelvin L. "The Israel-Palestine Conflict: One Hundred Years of War." Google Books. Page 195, n.d. Web. 16 Feb. 2014. . (13) Berkowitz, Michael. "The Emerge of Hebrew and Descent." Zionist Culture and West European Jewry before the First World War. Cambridge: Cambridge UP, 1993. 43-46. Print. (14) Herzl, Theodor. Der Judenstaat. Berlin: Jüdischer Verlag, 1920. Print. (15) Theodor Herzl. 1920. Photograph. Google Books. Web. 16 Feb. 2014. . (16) "The Zionist Would Purchase Palestine." The Sunday Chronicle (15 Sept. 1900): n. pag. Print. (17) "Israel Science and Technology Homepage." History of Palestine and Palestinians. N.p., n.d. Web. 16 Feb. 2014. . (18) Smith, Charles D. Palestine and the Arab-Israeli Conflict. New York: St. Martin's, 1988. Print. 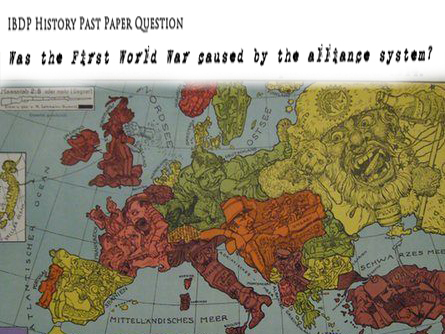 (19) "The Allied Powers – Treaty of Versailles [Articles 1-30]." News Genius. N.p., n.d. Web. 16 Feb. 2014. . (20) Sherif of Meccah Hussein Bin Ali. N.d. Photograph. Hussein Bin Ali, Sharif of Mecca. Wikipedia. Web. 16 Feb. 2014. . (21) Sir Henry McMahon. N.d. Photograph. Sir Henry McMahon. Wikipedia. Web. 16 Feb. 2014. . (22) Antonius, George. The Arab Awakening: The Story of the Arab National Movement. London: Kegan Paul, 2000. Print. (23) "Summary and Excerpts from Documents Relating to the McMahon Letters, Jewish Agency, March 1939." - CojsWiki. N.p., n.d. Web. 21 Jan. 2014. (24) "Gallipoli and the Anzacs." Gallipoli and the Anzacs. N.p., n.d. Web. 16 Feb. 2014. . (25) "Raid on the Suez Canal." Wikipedia. Wikimedia Foundation, 02 Dec. 2014. Web. 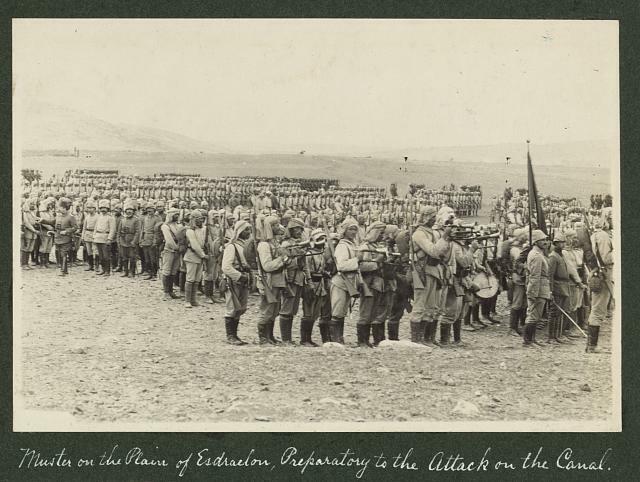 16 Feb. 2014. . (26) "The 1916 Revolt of Sharif Hussein Bin Ali Against the Ottoman Empire." DaringOpinion. N.p., Oct. 2009. Web. 21 Jan. 2014. 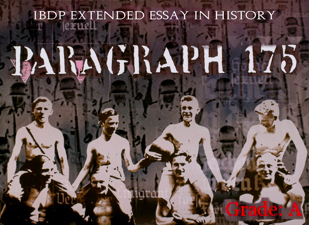 (27) "The Husayn Mcmahon Correspondence History Essay." 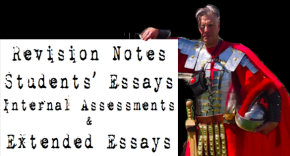 The Husayn Mcmahon Correspondence History Essay. N.p., n.d. Web. 21 Jan. 2014. (28) "Summary and Excerpts from Documents Relating to the McMahon Letters, Jewish Agency, March 1939." - CojsWiki. N.p., n.d. Web. 21 Jan. 2014. (29) "MidEast Web - Husayn-McMahon Correspondence." MidEast Web - Husayn-McMahon Correspondence. N.p., n.d. Web. 16 Feb. 2014. . (30) "The McMahon-Hussein Correspondance." INFO@CJME.ORG. Canadians for Justice and Piece in the Middle East, Oct. 14. Web. 21 Jan. 2014. (31) "Husayn-McMahon Correspondence (British-Palestinian History)." 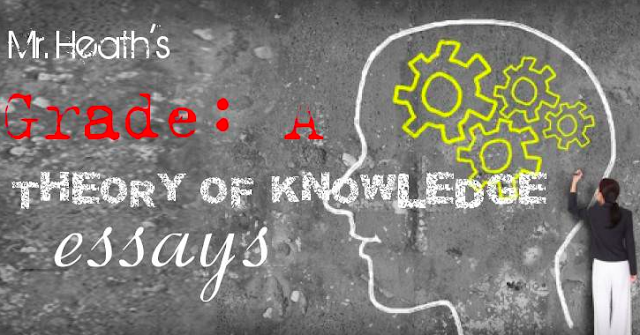 Encyclopedia Britannica Online. Encyclopedia Britannica, n.d. Web. 21 Jan. 2014. (32) "Mark Sykes." Wikipedia. Wikimedia Foundation, 16 Feb. 2014. Web. 16 Feb. 2014. . (33) "François Georges-Picot." Wikipedia. Wikimedia Foundation, 16 Feb. 2014. Web. 16 Feb. 2014. . (34) Pappé, Ilan. A History of Modern Palestine: One Land, Two Peoples. Cambridge, UK: Cambridge UP, 2004. Print. 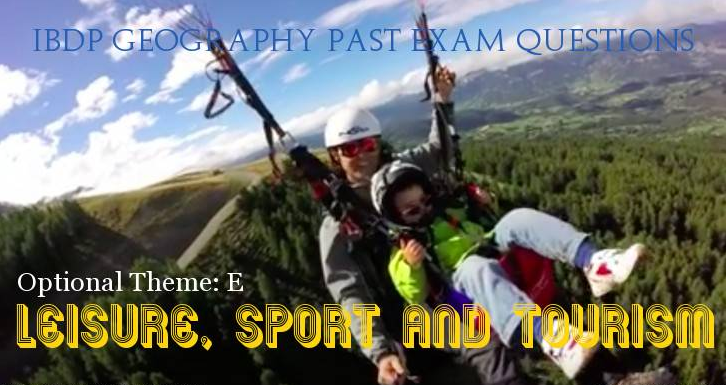 (35) Tucker, Spencer, Laura Matysek. Wood, and Justin D. Murphy. "Sykes Picot Agreement." The European Powers in the First World War: An Encyclopedia. New York: Garland Pub., 1996. 677-78. Print. (36) "Britain and France Conclude Sykes-Picot Agreement." History.com. A&E Television Networks, n.d. Web. 16 Feb. 2014. . (37) Wagner, Heather Lehr. "The Wages of War." The Division of the Middle East: The Treaty of Sèvres. Philadelphia: Chelsea House, 2004. 33. Print. (38) "Walter Rothschild, 2nd Baron Rothschild." Wikipedia. Wikimedia Foundation, 19 Feb. 2014. Web. 20 Feb. 2014. . (39) "Arthur Balfour." Wikipedia. Wikimedia Foundation, 17 Feb. 2014. Web. 20 Feb. 2014. . (40) Schneer, Jonathan. The Balfour Declaration: The Origins of the Arab-Israeli Conflict. New York: Random House, 2010. Print. (41) Chazan, Robert. "The Church, the Jews and the Later Crusades." European Jewry and the First Crusade. Berkeley: University of California, 1987. 176-79. Print. (42) Defries, Harry. "Balfour Decleration." Conservative Party Attitudes to Jews, 1900-1950. London: Frank Cass, 2001. 41-52. Print. What was Britain's role in creation of the Arab-Israel conflict? I: Mr. Mizrahi in your opinion was Britain's role in the creation of the Arab-Israel conflict significant? C: I believe so, as a young child, i am talking about a long time ago when I studied about how my country was founded I never thought that the British had such a strong role in creating the Israeli-Arab conflict, however as i grew up and began to work at different embassies around the world i realized that the way we learned it in school was very biased and so, today I think the way the british manipulated us as well as the Arabs just shows on one hand that they were very good strategists but also uncaring people. I: As for today, after you have studied this subject further who do you believe had stronger claims to israel at the time when it was still called Palestine? C: I think it is very obvious, Israel has always belonged to us, as a jewish person i can say that most people i know agree with me, In the tora it is clearly stated that god has promised us, a national home in Israel (ויאמר ה' אל אברם לך לך מארצך וממולדתך ומבית אביך אל הארץ אשר אראך)*. I am not a very religious person but i do believe that it was promised to us and especially the Arabic people who are very religious, not all of course but most should of understand that. I: When you think of the Balfour declaration what comes into your mind? what do you believe its significance is? C: As a jewish person i think it was the first time that people realized that the jews needed a home, not just jumping from place to place like gypsies. I see it as, and thats how i learned about it back in school that it is the first real statement about the jewish people receiving a home. it was a promise that eventually worked out, that is why it is so important to not forget what our people had to go through in order for us to have a country. We need to appreciate it more. 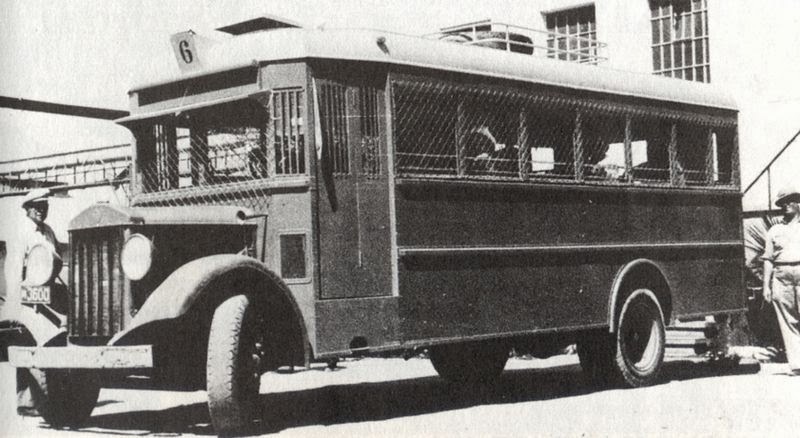 I: As a jewish person how do you feel about the times were the Jews needed self-defense cars or busses just to protect themselves from rock,glass and grenade throwing during the 1936 Arab revolt? C: it makes me sick to my stomach yet, it is can still happen if we don't take care of ourselves and keep a united front then our enemies who are all surrounding us, would put an end to Israel. I do not wish to think back to the times were people would need such a vehicle, it is simply inhuman to do that kind of thing to anyone, no matter their religion. Revenge is a very big problem in our world, and we keep grudges like with the Arabs. I: Do you believe the conflict can be solved today? C: I believe everything has a solution, but I highly doubt it if the people of israel would be open to having Palestinians in their country and oppositely this is exactly why when we started to migrate to israel when it was still Palestine they didn't accept us. It is a lose, lose situation and as for now i think it is not an option. Both the Jews and the Arabs had claimed that Palestine belonged to them.The Jews claimed that firstly it was a land promised to them in the bible and therefore they had a religious attachment to it and secondly that, two thousand years ago Jews were the descendants of the people who were living in Palestine, [i]therefore it was always theirs. However, the Arabs claims were also very strong, they claimed that they were living in Palestine with peace and that giving their home to the Jews that most of them weren’t even living in Palestine wasn’t fair. Additionally the Arabs claimed that they were the native people of the Palestine and were the majority, thus making Palestine theirs. They also argued that their ancestors also lived in Palestine for thousands of years, (the Canaanites)[ii] making the Palestine belong to the Arabs just as much. [i] "What Are the Arab and Jewish Claims to Palestine?" Yahoo! Answers. Yahoo!, 12 Dec. 2010. Web. 07 Feb. 2014. [ii] "What Are the Arab and Jewish Claims to Palestine?" Yahoo! Answers. Yahoo!, 12 Dec. 2010. Web. 07 Feb. 2014. [i] "MidEast Web - Husayn-McMahon Correspondence." MidEast Web- Husayn-McMahon Correspondence. N.p., n.d. Web. 7 Feb. 2014. 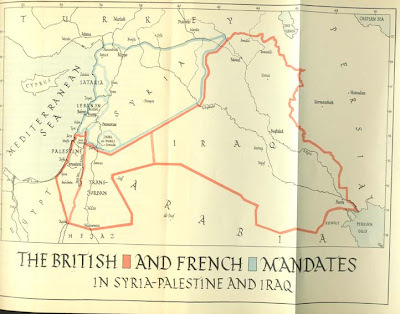 This map shows what the British promised to the Arabs in 1915. 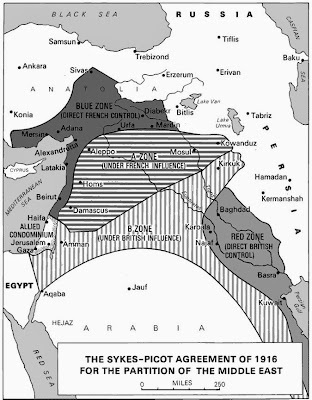 The pink area shaded concerns what Hussein intended to be as part of the arab kingdom, and the bold, black line shows the limit to the Arab kingdom suggested by McMahon. The map concludes the series of the letters sent by McMahon to the Sheriff of Mecca, Hussein. The Sykes-Picot agreement was a secret agreement in May 1916, negotiated between the two governments, the United Kingdom and France. Sir Mark Sykes and François Georges Picot. The secret agreement was made in order to decide how the two governments would divide the ottoman territories between themselves after the fall of the empire. The reason behind this was that they wanted to expand their empires. Therefore, it was decided and the French gained control over Syria and Lebanon, while the British gained control over Mesopotamian provinces (Iraq today), however Palestine was declared under an international control. Historians argue that the agreement conflicted with promises that were already given by the British to the Hashimite leader Hussein bin Ali[i], who was the Sheriff of Mecca. Hussein was about to lead an Arab revolt in the Hejaz against the ottoman rulers with the understanding that the Arabs would receive in time a more important share of the territory that would be won. [i] Anderson, Matthew S. "The Eastern Question." Answers.com. Answers, 2004. Web. 8 Feb. 2014. "Primary Documents - Sykes-Picot Agreement, 16 May 1916." First World War.com. Firstworldwar, 22 Aug. 2009. Web. 08 Feb. 2014. This map shows how the two governments decided which area will be under whom's influence and control. It can be seen that the British had control over Baghdad and Basrah, but also had influence on Damascus and Amman. Furthermore the French had influence over Syria and had control over Lebanon. However the only area still uncontrolled or influenced was Palestine, which was decided by the two governments to be under international control. 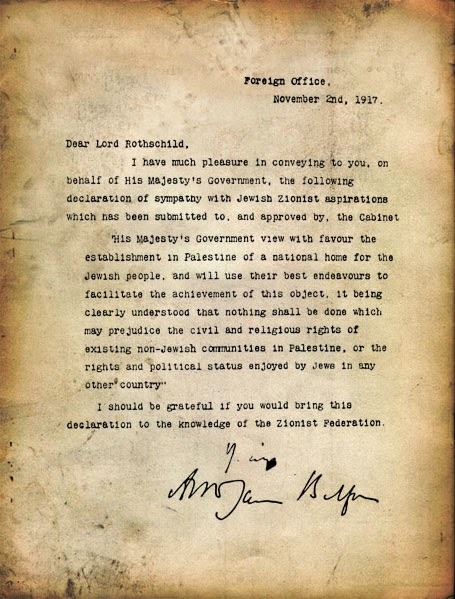 The Balfour declaration was a statement that was sent by United Kingdom’s foreign secretary, Arthur James Balfour to the Baron Rothschild on the 2nd of November 1917. It can be seen as the first notable statement in favor of a Jewish national home. The declaration was to be transmitted by the Baron Rothschild to the Zionist federation. The declaration’s intentions were not very clear, however it was understood as a promise to create a national Jewish state in Palestine. The letter can be seen as conflicting, firstly, the British promise a Jewish national home but that nothing should be done which may prejudice the rights of non-Jewish communities. Jonathan Schneer argues that Britain issued the declaration not from compassion towards the Zionism but for their own agendas and interests[i]. Additionally the declaration conflicted with a previous British commitment to self-government the Arabs of Palestine. When the British made the Arabs revolt against their Turkish rulers, which had their same religion, the British promised them or as Jonathan Schneer argues, deceived them into revolting against their leaders. Therefore Schneer finds the British guilty of deception. The three documents can be considered as british promises, they all discuss the middle east, and all three have the british government in common, however each document has a different significance. For example, the Balfour declaration concerns the jewish people and a national home for them in Palestine where the Hussein-McMahon correspondence concerned the political status of the lands under the Ottoman empire and was between the british and the Sheriff of Mecca. Additionally the Sykes picot agreement also concerns the British however, it is related to the French as well. Thus, it can be concluded that all three documents involve the british promising something but have differences to what that is promised. In 1919, the Arab's fears were confirmed, in the treaty of versailles the British were given mandates to govern specific countries in the middle east until the Arabs were considered ready to govern themselves. Britain's was given a mandate over Palestine, Transjordan and Iraq. Their main job was to assist the Jewish settlement and ensure the establishment of a national home for the Jews in Israel, in the spirit of the Balfour Declaration. Since the first Jewish settlers had arrived in Palestine from Russia in 1882, [i]there had been several attacks on the Jewish people and their homes. In 1921 the violence was extreme in the town of Jaffa. Jaffa was the main port of arrival for the Jewish immigrants. Tel Aviv was to the north of Jaffa and was considered to be the largest place for Jewish settlement in Palestine. 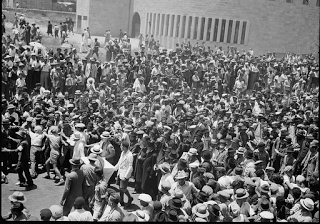 In 1921, many riots broke out in Tel Aviv between rival Jewish groups. The riots and fighting began to spread into Jaffa, which was considered as an Arab area. This led the Arabs to attack the Jews and their properties and the British authorities to stop all Jewish immigration. In 1921, Winston Churchill, a government minister visited Palestine, he was approached by a group of Arab leaders who asked him to disprove the Balfour declaration and stop the immigration of Jews into Palestine. However Churchill did not agree, “You ask me to reject the Balfour declaration and to stop immigration. This is not my power and it is not my wish”[ii] he replied to the leaders. [i] "First Aliyah." Wikipedia. Wikimedia Foundation, 01 May 2014. Web. 08 Feb. 2014. [ii] Scott-Baumann, Michael. Crisis in the Middle East: Israel and the Arab States 1945-2007. London: Hodder Education, 2009. Print. 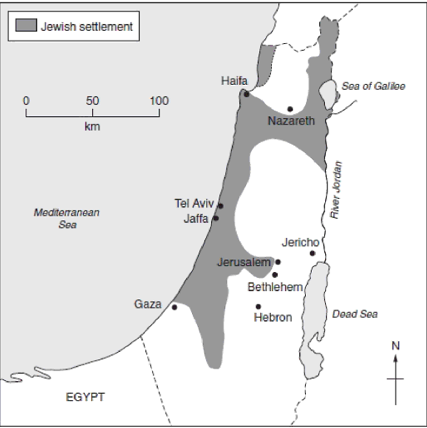 From this map it can be seen that the Jews began to settle over different areas in Palestine, the shaded area shows the increase of the Jews around the cities of Palestine. 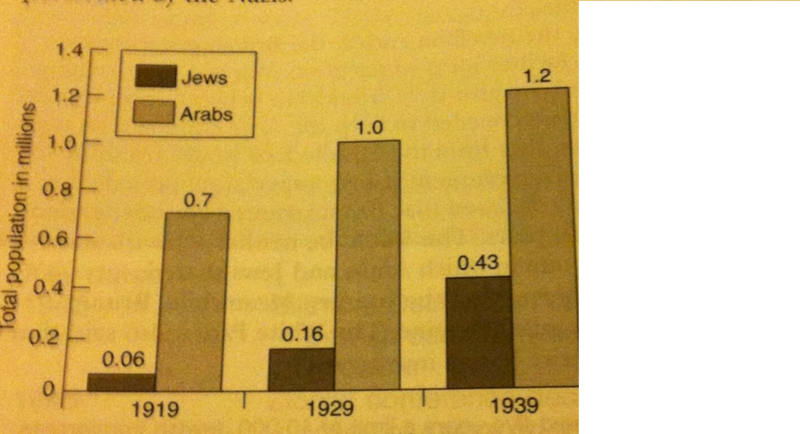 Furthermore, even though it slowed down in the 1920s, the Jewish population doubled in the ten years after the war. By 1929 there were a million Arabs and 160,000 Jews living in Palestine. In contrast to this, in 1919 there had only been 60,000 Jews. [i] Michael Berenbaum. "Nazi Anti-Semitism and the Holocaust." Encyclopedia Britannica Online. Encyclopedia Britannica, 10 Sept. 2013. Web. 06 Feb. 2014. Between 1936-1939, the Arabs of Palestine began to revolt against the British. They demanded independence and wanted the immigration of Jews to end. The revolt contained two parts, a political part and a violence part. 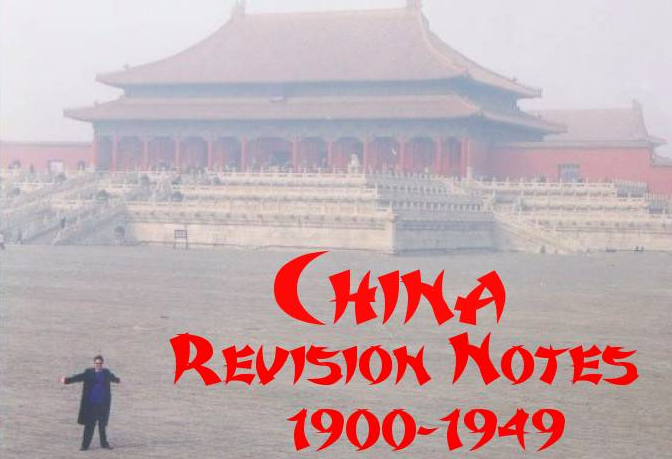 By October 1936, the first part was defeated due to the British civil administration; they used a combination of political compromises and international diplomacy. The second part was much harder to control, because the violence and general chaos was overwhelming to the people,[i] however the Palestinian police force used repressive measures that were intended to make the Arab population decrease popular support for the revolt. By 1939, the Palestinian Arabs were after three years of British repression, [ii]and an amount of 5,000 had been killed. Also, there was 15,000-20,000 people wounded and 5600 of the Arabs leaders and fighters were under British detention[iii]. In 1939, the population of the Arabs was at about one million, therefore it meant that more than 10 percent of the adult males were killed, wounded or detained by the end of the revolt. Therefore, the British's role in creating this conflict was, instead of helping the Arabs or compromising they fought them causing the Arabs to be under British repression and thousand of people to die. Foundation, 02 Apr. 2014. Web. 08 Feb. 2014. [ii] Swedenburg, Theodore. Memories of Revolt: The 1936 – 1939 Rebellion and the Palestinian National Past. Fayetteville: University of Arkansas Press, 2003. [iii] Swedenburg, Theodore. Memories of Revolt: The 1936 – 1939 Rebellion and the Palestinian National Past. Fayetteville: University of Arkansas Press, 2003. On May 1937, the British government set up an investigation that was led by Lord Peel. In the report it was recommended that Palestine should be divided into two separate states, one for the Jews and one for the Arabs. However, the Arabs rejected the plan and the Jews wanted more land. Furthermore, the British forces were eventually able to regain control of Palestine with the use of more troops, weapons and transport[i]. By 1939 the rebellion ended and war was approaching, Britain was afraid that there would be a growth in the friendship between the Arab leaders and Germany, therefore Britain needed to keep the Arabs on their side so that oil supplies would continue to reach Britain. Thus, the government issued a special report called the White Paper. 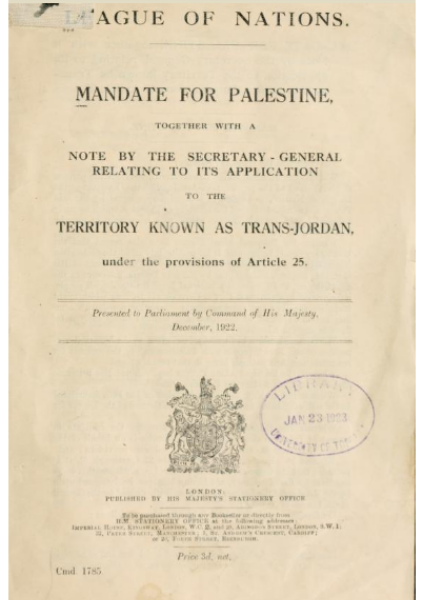 In the report it was said that Britain wanted an independent Palestine within 10 years. The state wouldn’t be Jewish or an Arab state, but one that both could share in governing the country[ii]. Additionally the White paper also said that Britain would restrict Jewish immigration, which made the Jews very angry. [i] The Avalon Project. 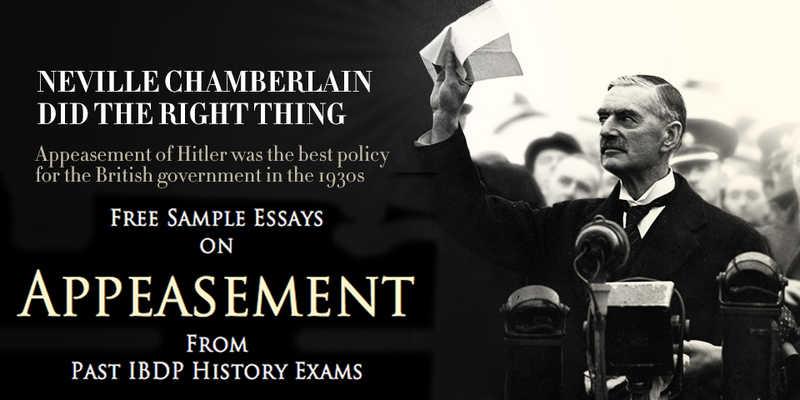 "British White Papers: White Paper of 1939." British White Paper of 1939. N.p., n.d. Web. 08 Feb. 2014. [ii] Mike Konrad. "The White Paper of 1939." Articles:. N.p., 2 June 2013. Web. 06 Feb. 2014. The original Peel Commission partition plan, ("MidEast Web - Documents and History - Peel Partition Plan and Maps." MidEast Web - Documents and History - Peel Partition Plan and Maps. Midwest Web, n.d. Web. 19 Feb. 2014. These three maps show the development through 1937-1938. To conclude, the British had a very strong role in creating the Arab-Israeli conflict. They can be seen to be very good strategists for example with the British White paper but also very manipulative which, can be considered a good and bad trait, depending on which side you are on. Additionally from the Sykes Picot, Hussein-McMahon correspondence and the Balfour declaration it is obvious that the British manipulated the situation to their advantage. 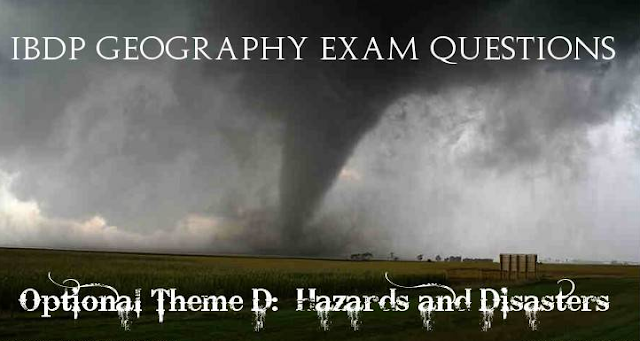 It is also very significant because we study this in History class today. Till this day the British's role in this conflict, is examined by new historians like Benny Morris, Shabtai Teveth and Avi Shlaim[i]. These historians are also considered Post-Zionism (Post-Zionism refers to the opinions of some Israelis, diaspora Jews and others, particularly in academia, that Zionism has fulfilled its ideological mission with the creation of the modern State of Israel in 1948)[ii]. Therefore these historians have a different perspective on this conflict, and are challenging what was firstly known. However, they don't have as much facts to support their claims as the previous historians have and therefore they are reliable to a small extent. [i] "New Historians." Wikipedia. Wikimedia Foundation, 16 Feb. 2014. Web. 17 Feb. 2014. 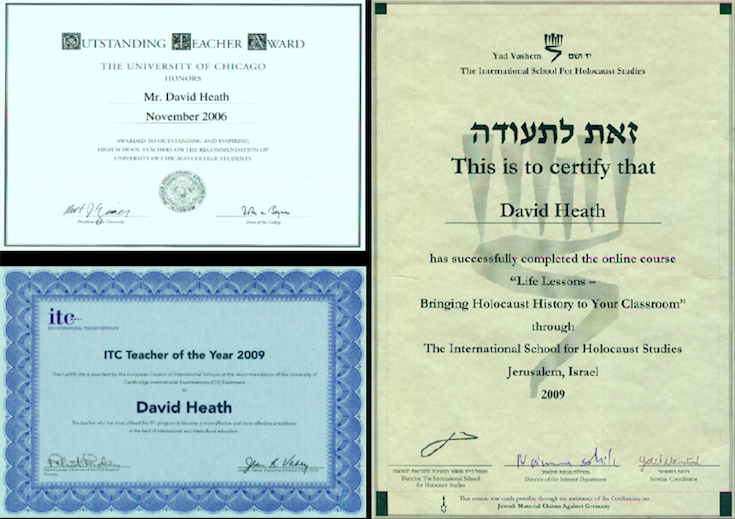 [ii] "Post-Zionism - My Jewish Learning." Post-Zionism - My Jewish Learning. N.p., n.d. Web. 20 Feb. 2014. Wikipedia. "Sykes–Picot Agreement." Wikipedia. Wikimedia Foundation, 01 Dec. 2014. Web. 8 Feb. 2014. Shlomo Ben Ami. "Arab-Palestinian/Israeli Conflict: 1897-2008." Google Books. N.p., n.d. Web. 11Feb. 2014. Michael Duffy. "Firstworldwar.com." First World War.com. N.p., 22 Aug. 2009. Web. 15 Feb. 2014. "The Balfour Initiative." The Israel Forever Foundation. The Israel Forever Foundation, 2012. Web.15 Feb. 2014. R.S Chaurasia. "History of Middle East." Google Books. N.p., n.d. Web. 15 Feb. 2014. "The Balfour Declaration: The Origins of the Arab-Israeli Conflict." BBC News. BBC, 29 Nov. 2001. Web. 15 Feb. 2014. "Balfour Declaration of 1917." Wikipedia. Wikimedia Foundation, 02 Sept. 2014. Web. 13 Feb. 2014. During the period of British rule, the Union Flag or Union Jack of the United Kingdom was the de facto British Mandate flag, but several localised flags existed for Mandate government departments and government officials. The only Palestine-specific flag not restricted to official government use was the Palestine ensign which was flown by ships registered in the British Mandate territory during the period 1927–1948. It was based on the British Red Ensign (civil ensign) instead of the Blue Ensign (used as the basis for the flags of nearly all other British territories in Africa and Asia), since it was only intended for use at sea. 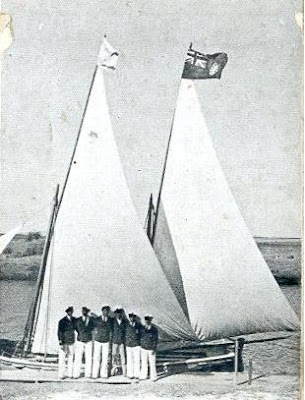 Here is a unique photo of the Palestine red ensign together with the Zionist flag from cgate.co.il> showing the sailboat "Bat Galim" of Zevulun Sailing Club of Tel-Aviv as it returns from Cyprus in 1943. A picture of a "Hashomer" society flag being given to Hashomer volunteers serving in the 40th (Eretz Israel) battalion Royal Fusiliers of the Jewish Legion, 1918. "Hashomer" ("The Watchman") was a self-defense movement founded by Jewish settlers in Palestine in 1909 and outlawed by the Ottoman Turkish authorities during the First World War. The banner here depicts the British Union Jack (reflecting the Legion's British auspcies), and beneath it the Hebrew word for "Hashomer" surmounted above and below by the legend "In Blood and Fire Judea Fell" and "In Blood and Fire Judea Will Rise". The Jewish Legion of the First World War consisted of three battalions: one from British volunteers (the 38th Royal Fusiliers), another of North American volunteers (the 39th) and a third one of volunteers from Eretz Israel-Palestine (the 40th). Seen here is Dr. Chaim Weizman, the head of the British Admiralty laboratories, a leading Zionist figure instrumental in the drafting of the Balfour Declaration (1917) and future first President of Israel presenting the colors of the 40th Battalion to its members, 1918. The picture is not clear, but it looks like a triangular standard with a lion within a Star of David; the British Union Jack on the top right and a Hebrew legend just above the Star, which is not clear. A frequent legend in Legion regalia is "In Blood and Fire Judea Fell, In Blood and Fire Judea Will Rise", although the few clear letters in this picture suggest that the slogan may be different. Two Zionist activists, Joseph Trumpeldor and Vladimir (Ze'ev) Jabotinsky, were influential in the creation of all-Jewish combat units of the British Army in the First World War. Both directly enabled the foundation of the Zion Mule Corps in 1915, which served in Gallipoli, and Jabotinsky in particular led the drive for the creation of Jewish battalions in the British Army. These battalions - the 38th, 39th and 40th Royal Fusiliers - are collectively known as the Jewish Legion. In this picture, Jabotinsky with crossed armed is seated in the second row, just above the right corner of the flag. The flag here is of the 16th platoon of the London Battalion, in training, which would shortly become part of the 38th Royal Fusiliers; it incorporates the Jewish Star of David surmounting the British Union Jack - a constant symbol of this era's British-affiliated Jewish armed formations. Another view of the flag of the "First Judean Battalion", this time during a veterans' march in 1943. During the Second World War the veterans movement as a whole was actively involved in promoting Jewish volunteerism from Eretz Israel in the war effort, and this picture was taken during one such support march. After the Jewish Legion was disbanded in 1919 after World War I, it was succeeded by another all-Jewish Eretz-Israel formation called the "First Judean Battalion". It existed from 1919 to 1921 and included former Legion members, particularly from the Eretz-Israel 40th battalion. Seen in this photo of a prayer ceremony is the Battalion's colours: a British Union Jack on the top right corner and a blue Star of David in the centre, on a white background. "The Port and Marine Section of the Palestine Police was formed in July 1935. For the period of the Second World War it came under the control of the Senior Naval Officer at Haifa, its personnel became members of the Royal Naval Volunteer Reserve, and its launches flew the White Ensign. One launch was moved inland by rail. The first, last, and only time that the White Ensign has ever flown on the Sea of Galilee." "Eventually orders came to re-adopt orthodox police uniforms once more and the section severed its connections with the Royal Navy, with whom they had been proud to work. There was some sadness when the White Ensign was hauled down and the blue ensign with the P.P. motif reappeared at the stern of each launch." The flag can be seen on the right beside the Royal Flag as Lord John Gort addresses an assembly of officials as newly appointed High Commissioner of Palestine and Transjordan in Jerusalem, October 31, 1944. In 1932 the Palestine High Commissioner applied to the Colonial Office for a distinguishing flag. He made some journeys by launch, but had no defaced Union Flag of the type normally used to identify a vessel in which a commissioner was travelling. He did not consider that the badge used on the ensigns was suitable, and suggested a badge similar to those of the High Commissioners of the Western Pacific and South Africa. These badges had an imperial crown and appropriate initials, on a white disc surrounded by a garland of green leaves. 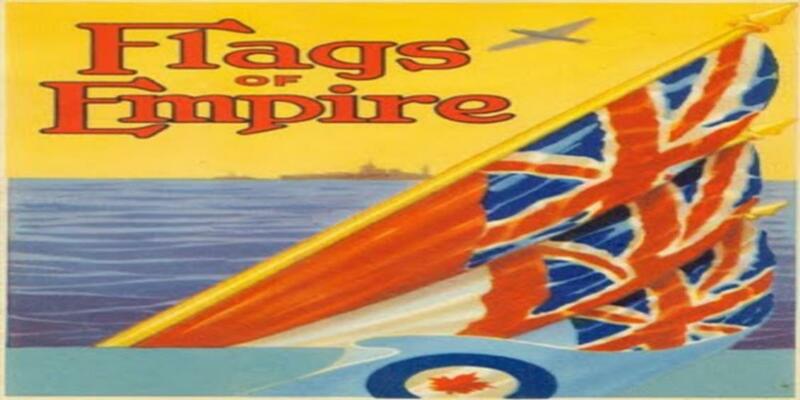 The Colonial Office agreed that the badge on the ensigns was, "repellent", and were considering the adoption of a badge that had a crown in the centre with 'PALESTINE' above and 'H.C.' below, when it was decided that the Foreign Office would probably not agree to a badge which featured a crown. The status of the administration of a mandated territory was not entirely clear, and some were of the opinion that in Palestine the Colonial Office were agents of the League of Nations, and that the use of a royal crown was not appropriate. It was proposed instead that a simplified version of the design that had been used for the Public Seal, should be used as a flag badge. (...) The badge based on the Seal was [strongly opposed by the Jewish Agency] and abandoned and on 17th July 1935 the High Commissioner selected a badge, similar to that of the Western Pacific High Commissioner, that had been considered in 1932. The design of the crown is unusual, but is perhaps a simplified version of the standard Imperial Crown with the normally domed arches flattened to make more space within the white circle for the lettering. 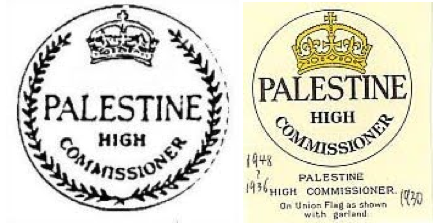 The difficulty of fitting the crown and lettering into the available space may explain the version of the badge that appeared on the flag of the High Commissioner when his departure from Palestine was filmed in 1948. On the morning of May 14 1948, another page was turned in the history of the Holy Land. 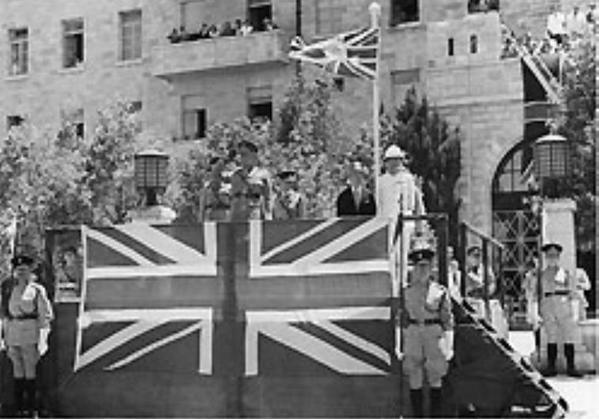 Joining its predecessors - Babylonians, Assyrians, Persians, Greeks, Romans, Arabs, Crusaders and Turks - the Union Jack is lowered by a Royal Marine, signifying the end of British rule in Palestine and of 30 years of gallant endeavour to bring peace and plenty to the Holy land. Disaster has been the result.